Utah State University conducted a study examining the national trends regarding what goes through the minds of those considering divorce. The study was in the form of a survey that was administered twice with 12 to 13 months in between each administration. The results highlighted the various components that went into the decision. When you decide to pursue a divorce, it is a decision that is deeply personal for you and for your soon-to-be ex-spouse. It marks a major change in your life, and it is not a decision made lightly. It is a decision that can be made based on your individual wants and needs failing to be met, forcing you to exit an unhappy and dysfunctional relationship, in pursuit of a better future. It also can be made based on the actions of others. Because of how personal the decision is, it can often be difficult to survey national trends regarding what goes through the minds of those considering divorce. However, a recent study from the Family, Consumer, and Human Development department of Utah State University examined the ideation of those thinking about this specific type of change to their lives. Those conducting the study employed a large-scale, online market research company called YouGov, to collect the data and distribute the survey several times a year about various topics. It began in early 2015, with a follow-up survey 12 to 13 months later. The second administered survey repeated most of the questions of the first administered survey with minor additions and subtractions that would typically occur in the case of a follow-up survey. All participants were married for at least one year during the administration of the first survey and were between ages 25 to 50. The first administration of the survey sampled 3,000 participants. Of those who responded, 80 percent of the first administration of the survey were parents, and 66 percent of them still had children in the household. The average amount that they had been married was just over 12 years, and the average age was just over age 39. In terms of gender, 53 percent of the first administration of the survey was female and 47 percent was male. As far as the second administration of the survey goes, 172 of the original participants could not be reached, and only 2,256 of the participants completed it. The surveys began by examining past ideations through having the participants respond to the question: “Have you ever thought your marriage was in serious trouble?” During the first administration of the survey, 53 percent of the respondents said yes, and 28 percent had those exact thoughts in the past, but not within the last six months. 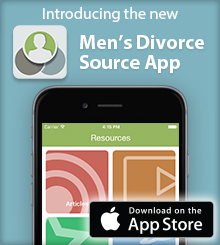 During the first administration of the survey, 25 percent of the participants reported thinking about divorce in the last six months, but 70 percent reported that their thoughts about divorce were so infrequent that only about 40 percent of the recent thinkers reported speaking to their spouse about them. In terms of gender, 27 percent of women were more likely to have recent thoughts about divorce, as opposed to 22 percent of men. Many of the respondents in the first administration of the survey revealed themselves to have an open attitude toward fixing the marriage. According to the results, 43 percent responded by saying that they do not actually want a divorce and that they are willing to work hard to keep the union together. The marital problems that the recent thinkers reported experiencing helped explain their answers. According to the results of the first administration of the survey, approximately 60 percent reported that they were experiencing connecting issues in the way they interacted and/or instrumental problems regarding how money or chores were being handled. Additionally, 40 percent reported an intense problem related to issues like adultery, addiction, or abuse. During the second administration of the survey, 51 percent recently had thought about divorce several times or a lot, and 71 percent had been thinking for a year or more about the idea. The problems in most of these couples related to high levels of connection. The second administration of the survey also showed that 83 percent reported conflict in the marriage, and 59 percent reported that mental health issues played a factor for the group. The results also showed that 39 percent reported to have mixed feelings about a divorce, and 37 percent reported that they were willing to working on the marriage, if their spouse got serious about changing some of their behaviors. This is in contrast to the 16 percent that reported that they did not want a divorce and that they were willing to work hard to save the marriage; a juxtaposition from the 43 percent during the first administration of the survey. When many individuals question why divorce is considered an option for so many, they fail to consider the individual circumstances that lead someone to make that type of difficult, life-changing decision. They are not necessarily aware of the individual battles or struggles they may face in keeping their life and their marriage together, and they may not understand how tired the struggling spouse is at doing so. This study gives a glimpse into the struggles that many face in considering divorce as an option, but because of how individualized the thought process in deciding to divorce is, it may not cover the particular ideation of your divorce. It is only meant to inform you of current trends, and remind you, as an individual who may be experiencing a divorce or already may have experienced a divorce, that you are not alone. For those considering divorce as an option, it is vital that you contact a family law attorney is best equipped at representing your interests. Every situation is unique, and having an attorney who understands the ins and outs of what you may be going through is important in keeping your future in tact.